Early this morning I had the most amazing dream. I was dog sitting for my childhood dog with my (I can't even figure out a decent adjective to stick in here because thinking back on the dream makes me feel like I'm melting into a puddle of gooey, love-pudding) Scottish boyfriend. When my bladder woke me from the dream I was upset. There was no cuddly boyfriend beside me and my dog passed away five years ago. So I started off my day being mad at the world for giving me such a simple, beautiful dream and then making me go into work and stare at a computer all day. Thank goodness for coffee (that "I'm quitting coffee business lasted two days, in case you were wondering). 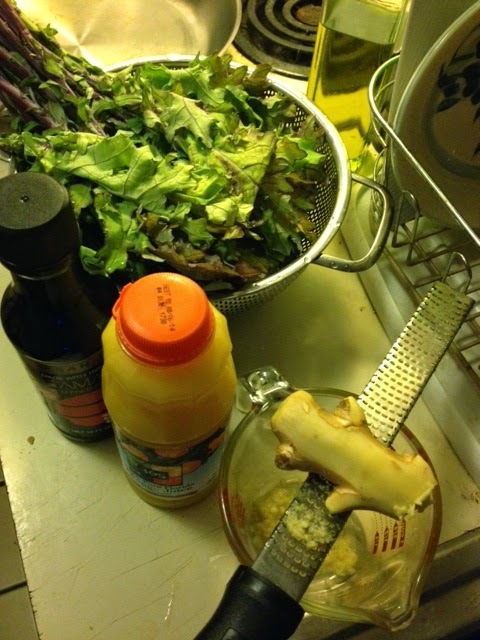 Since I knew we'd be talking the entire evening, I stuck with simple nibbles for dinner. Recipes below. 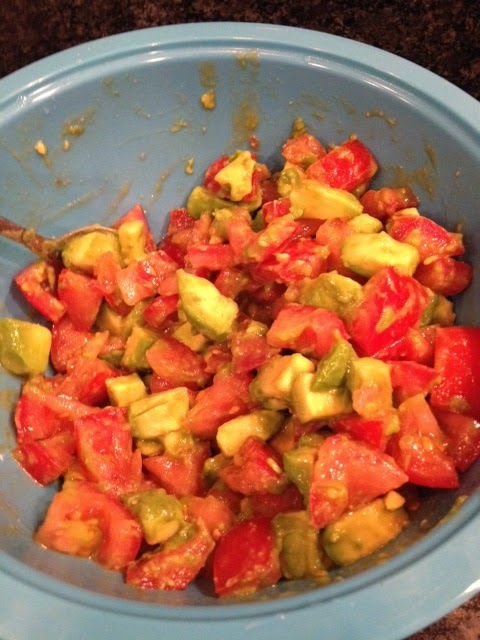 So this is a play on a recipe of my father's. It was my first time so I winged it, as usual, and it actually came out great. I would just make a few tweaks next time. 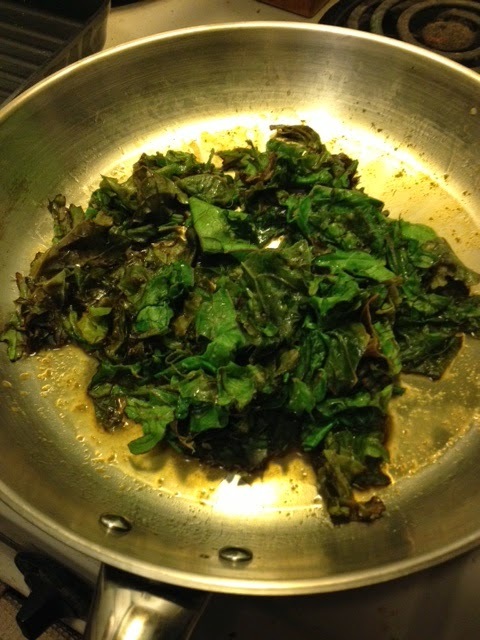 Saute the kale with a tablespoon of EVOO. 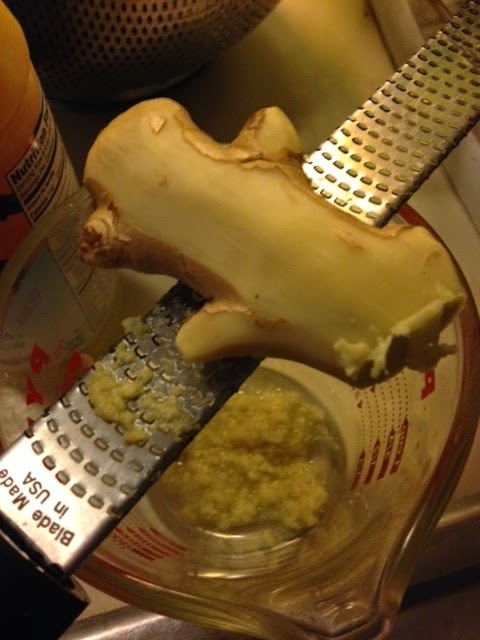 Meanwhile, combine soy sauce (2 tablespoons), OJ (4 tablespoons), and ginger. I went by taste. When it had a stronger OJ taste than soy (though you can still very much taste the soy) it's ready. 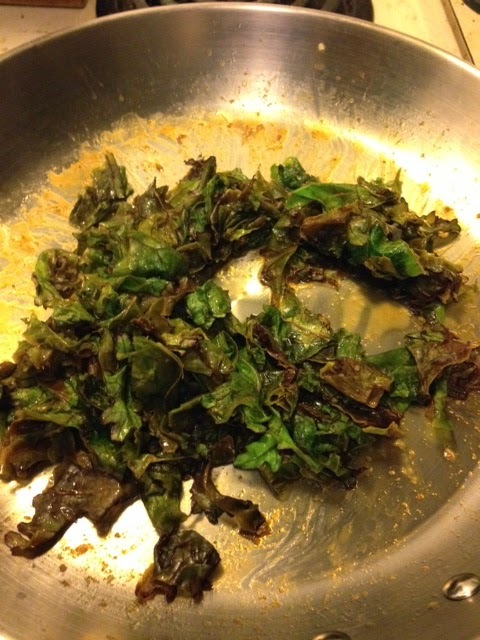 Pour it into the kale and saute until it reduces to a sticky-sweet sauce. Go ahead and taste the kale. If it needs more sauce add more. 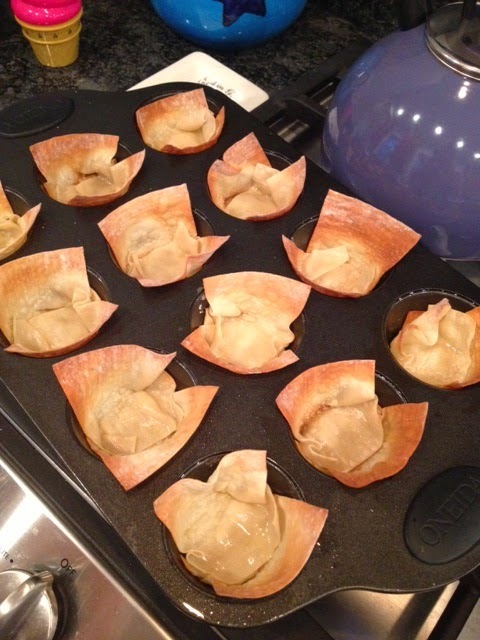 Spray a muffin tin with PAM (upon this first trial we realized a mini cupcake tin would work even better to make the bites manageable), place a wonton into each cup and press it into the sides. Bake about 7 minutes at 350, or until the tips of the wonton start to brown. 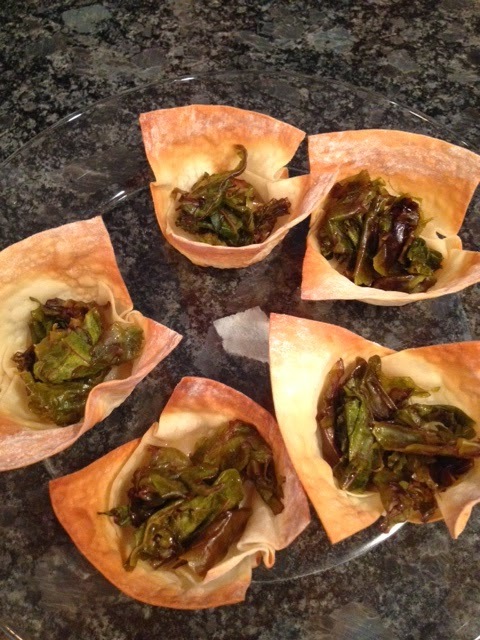 Remove and let cool for a few minutes then scoop a tablespoon of kale into each wonton and serve warm. 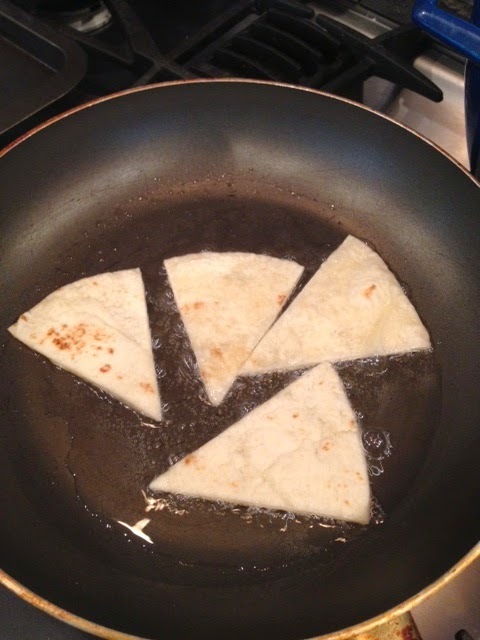 Cut tortillas into pieces (each tortilla can be cut into 8 pieces). Heat veg oil in a skillet on medium-high heat. 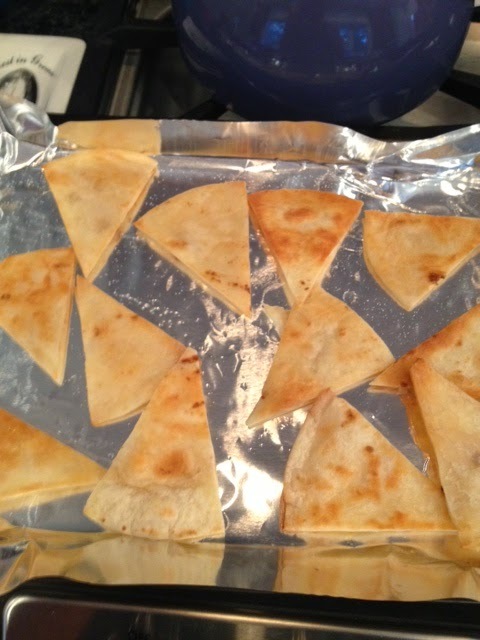 Place pieces of tortilla in oil (about 4 pieces at a time, depending upon your pan size) about 5 minutes on each size, but watch carefully. When they start to brown flip them. Let them dry on a tray and sprinkle with salt. Then serve. So my favorite thing to use is naan bread. It's already cooked, it's got great texture, it's in the perfect portion size. 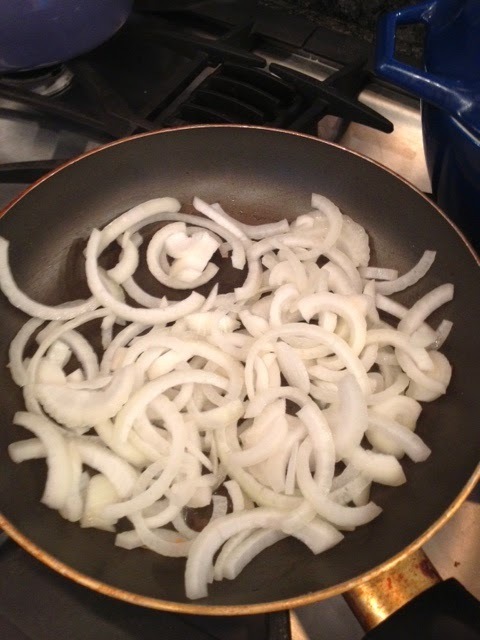 I sauteed one yellow onion in a tablespoon of EVOO until it was translucent. 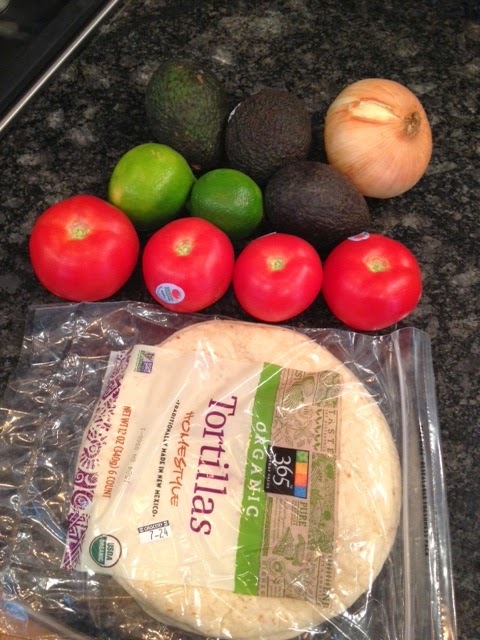 When I was grocery shopping at Whole Foods I went up to the cheese connoisseur and asked for a cheese suggestions - something that would melt well on flatbread, but that I wanted to try something besides mozzarella. They suggested a cheese and sadly I did not keep the label. I think it may have been a Capricho de Cabra but don't quote me on that. Whatever it was, it was like a mixture of cream cheese and goat cheese. On the grill pan I placed the naan, flaked chunks of the cheese, a helping of the onion and sprinkled red pepper flakes for a little kick. It was delicious. Lastly, one of the girls brought mini desserts from Whole Foods. 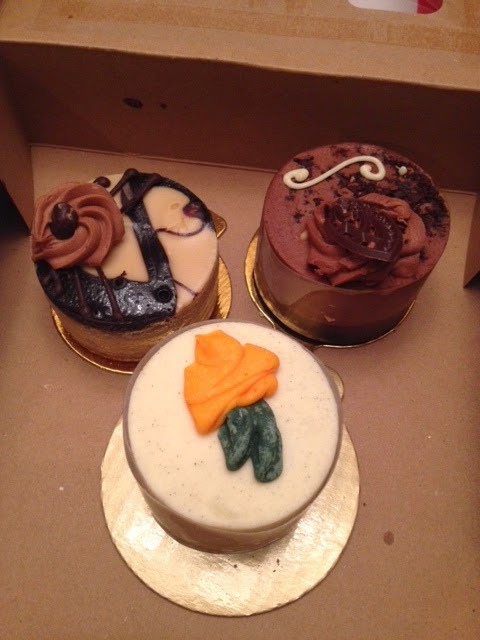 A carrot cake (my favorite), a Kahlua cheesecake, and a chocolate mousse. Sadly, we were so stuffed we didn't make it to the mousse. But the other two were delicious. So there you have a feast of nibbles. I suppose I must now face that editing! *Note: This was written last night but I didn't publish it until this morning because I was sleepy. It was such a spectacular evening of celebration and feasting! 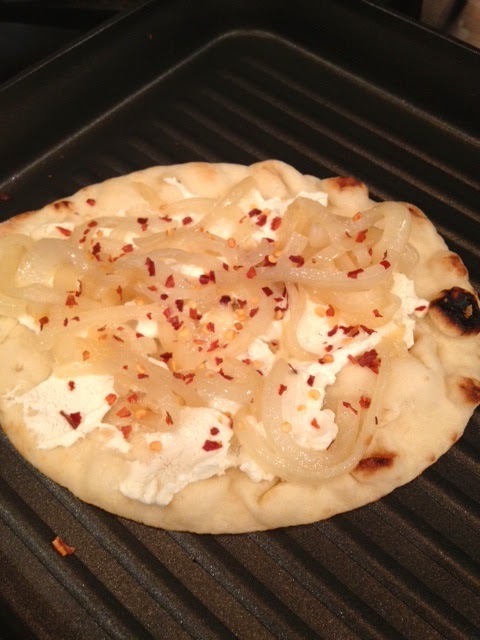 I love the way you use Naan instead of traditional crust.